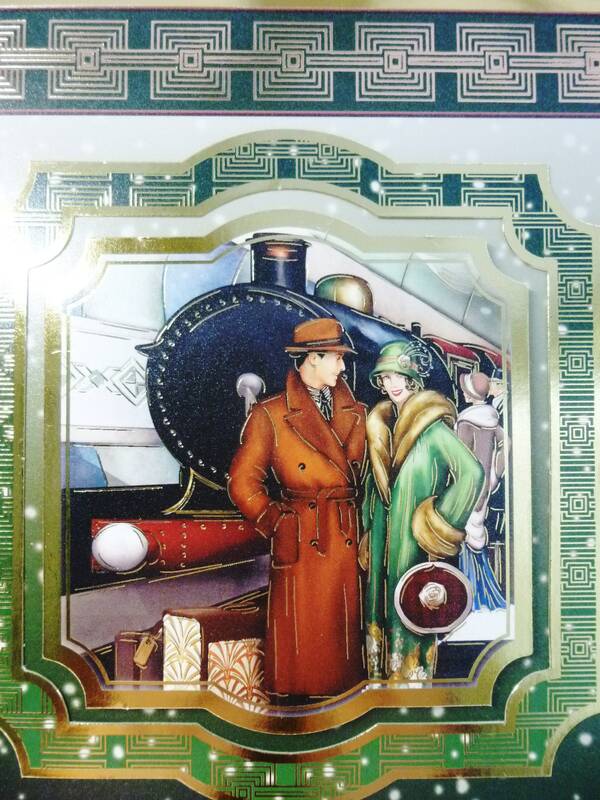 Art Deco Christmas card made from white base card, and layered with gold card and patterned card with a large frame in the centre on the card with a large topper in the centre of the frame of a couple standing in a railway station waiting for a train. 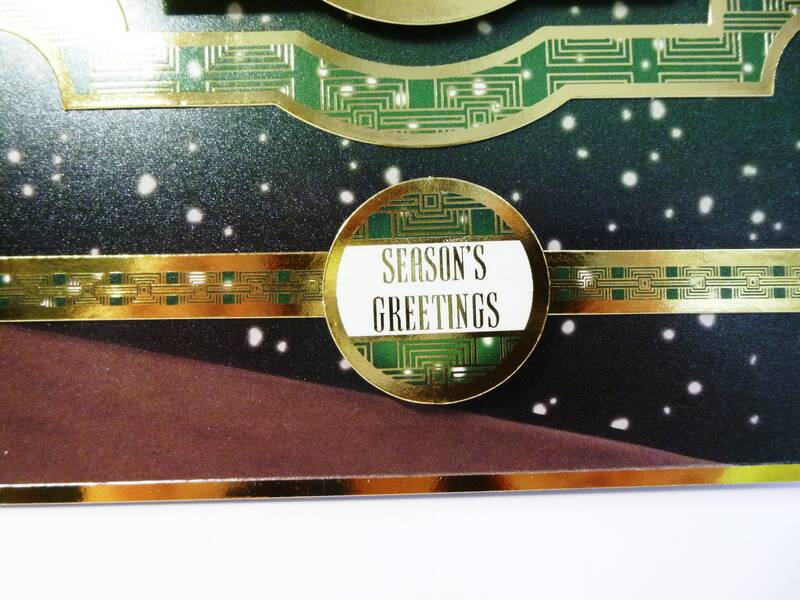 At the bottom of the card there is a sentiment which says,' Seasons Greetings'. 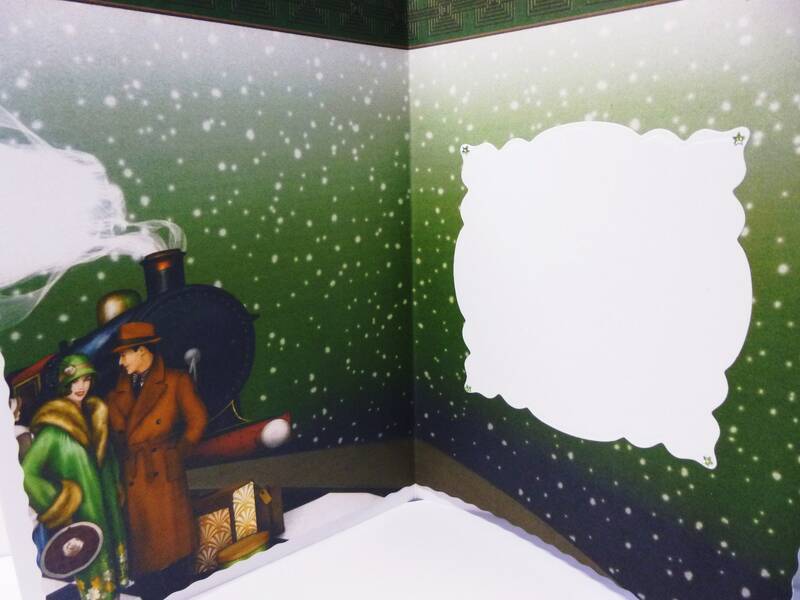 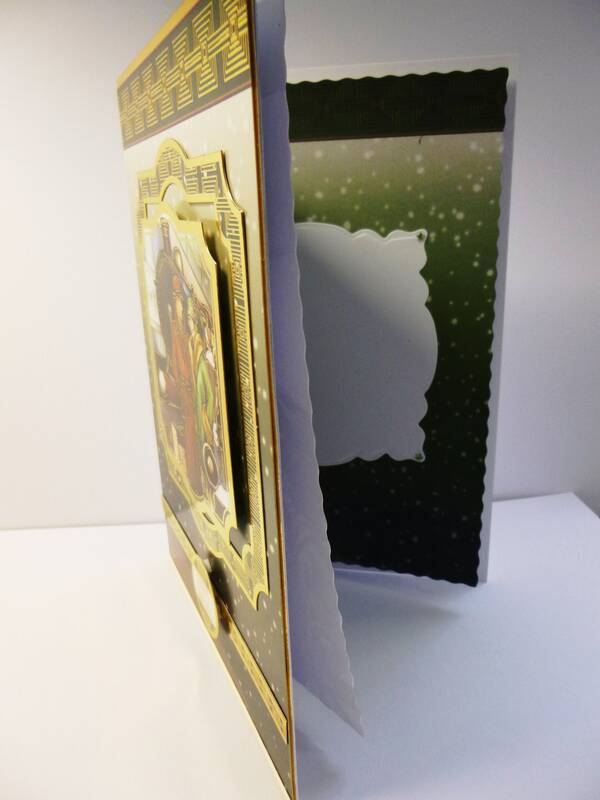 Inside the card is matching insert paper with a white area for you to write your own personal message. 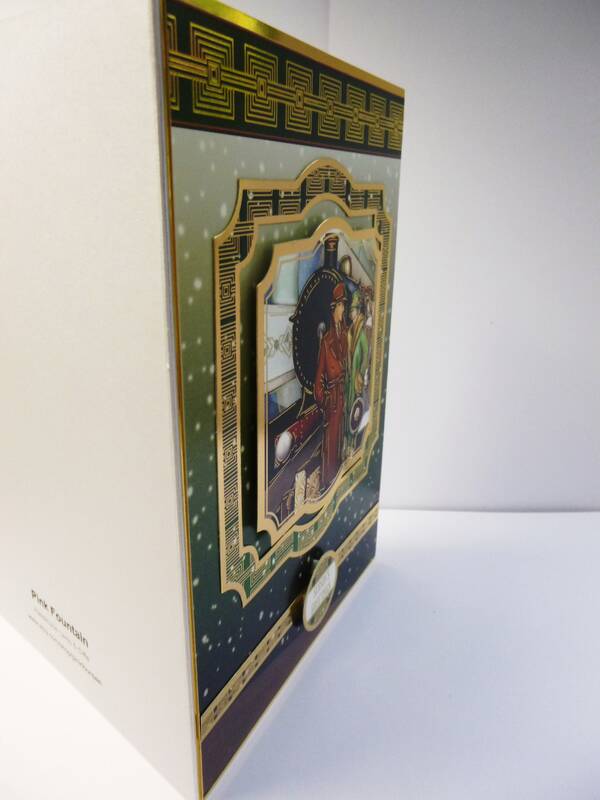 The card measures 6 inch x 8 inch, 16 cm x 20 cm, includes a white envelope. 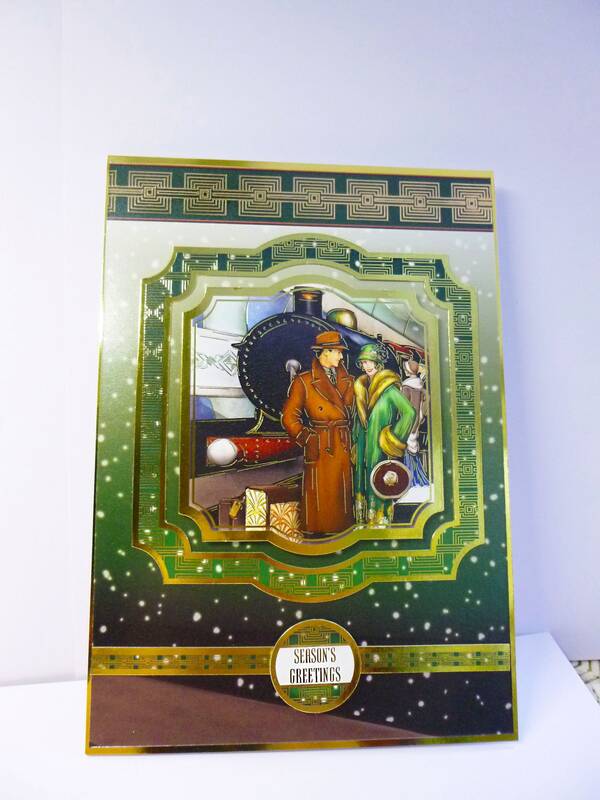 Such an unusual card, very pleased.